Review Summary: Bittu Sharma (Ranvir Singh) and Shruti Kakkar the archetypal Delhi University students-next-door meet and decide to carry their friendship forward. But not as boy friend-girl friend. Bittu Sharma (Ranvir Singh) and Shruti Kakkar the archetypal Delhi University students-next-door meet and decide to carry their friendship forward. But not as boy friend-girl friend. The girl is strong-minded, unwavering and focused. 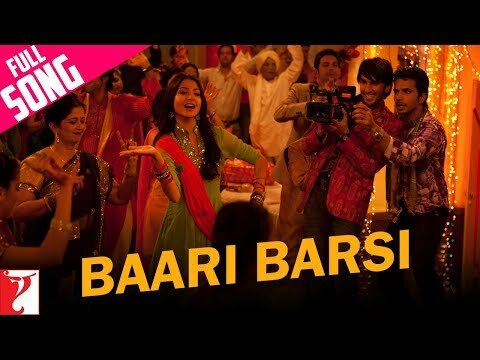 'Band Baaja Baaraat' is one colourful and vibrant film that should finally end a continued draught that Bollywood has been facing ever since 'Golmaal 3' came and went. An industry which is reeling under half a dozen major flops already in last few months, Bollywood could well benefit from this relatively small but delightful film that makes for a very good family viewing. Learn a little Punjabi yes, and grit your teeth for the tuneless wedding songs, but watch the film for its energy and for its lead pair who are charmingly unaffected. It is easy on the ears and eyes and is a through entertainer. 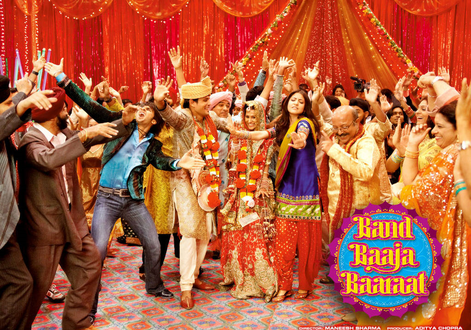 Band Baaja Baarat is definitely one of the better romantic-comedies in some time. Debutant director Maneesh Sharma deserves accolades for bringing this effort. Give this one a chance, you won't regret it.